'i sat there with sally. 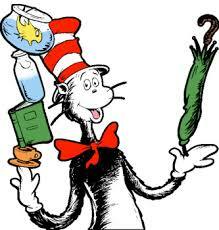 Here's Something: It's a Dr. Seuss's Birthday Celebration! from 11:00 am - 3:00 pm. Stop in any time.